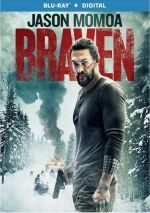 Now best-known as Aquaman from the Justice League franchise, Jason Momoa takes the lead all by himself for 2018’s direct-to-video adventure Braven. Joe Braven (Momoa) and his father Linden (Stephen Lang) go away for a quiet weekend at their cabin in the woods. When they arrive, they discover that drug traffickers hid heroin in their building. Before long, the baddies arrive at the cabin to retrieve their goods, an event that pits Joe against them in a life-or-death circumstance. No one will call that an original plot, as plenty of movies offer similar stories. Throw a rock at Netflix and you’ll find a slew of films that follow narratives in the same vein. As I often say, however, a movie doesn’t need to be fresh and creative to be good. While a story as well-worn as Braven’s needs to find some way to differentiate itself from the pack, if executed in a satisfying manner, it can still entertain. I guess I should give Braven credit for its vague stabs at character depth, mainly in the way it depicts Linden. We find him in the throes of dementia, an arc that seems unusual for this sort of tale. That said, I can’t claim the choice feels especially organic, as Linden’s mental concerns act more as a plot device than anything else. Linden’s status gives Joe an excuse to get him alone in the woods and it also allows for character vulnerabilities that otherwise might not arise. In theory, at least – in reality, Linden’s mental status serves as just one of many contrivances, none of which seem natural or real. Braven lacks a true plot beyond it being Die Hard In a Cabin, but the film piles on narrative notions meant to make us think we get something more substantial. We don’t. Braven exists as a basic piece of violent action without any greater depth than that. If the film pulled off that violent action in a satisfying manner, I wouldn’t mind, but it tends to lack real thrills. A few set pieces seem reasonably vivid, but most of the movie plods along without real drama or momentum. The actors fail to add much to the proceedings. In a movie geek way, it’s fun to see Lang and Momoa as father and son because they played enemies in 2011’s Conan the Barbarian reboot, but they don’t connect in a meaningful manner. Granted, neither seems bad, but both offer greater talent than they display here. Momoa came as a pleasant surprise in Justice League, as his Aquaman delivered a lively presence, but he fails to replicate much charisma or depth here. When we first meet Garret Dillahunt as the psychopathic drug kingpin Kassen, he threatens to enliven the proceedings. Alas, this proves to be a mirage, as Kassen soon loses all forms of vivacity and turns into just another dollar store baddie. The same goes for Braven as a whole. You can do much worse in terms of basic action entertainment, but that stands as a lackluster endorsement for a forgettable movie. Braven appears in an aspect ratio of approximately 2.35:1 on this Blu-ray Disc. This was a fairly positive presentation. Sharpness was almost always strong, though interiors could be a little soft. These elements didn’t look significantly ill-defined, but they lacked great clarity. Still, most of the movie showed appropriate delineation. I noticed no jaggies or moiré effects, and edge enhancement never manifested itself. In addition, the film failed to display any print defects. 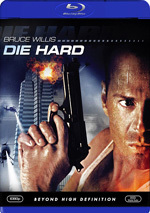 Like most modern action flicks, this one opted for stylized hues, so teal, orange and amber dominated. Within those constraints, the colors seemed fine, as they showed appropriate range. Blacks were dark and full, but shadows were occasionally a bit heavy. Though they weren’t terribly opaque, they could’ve been clearer. All this added up to a good but not great image. The DTS-HD MA 5.1 soundtrack of Braven worked well, and various action elements offered the most active use of the spectrum. These scenes didn’t emerge on a frequent basis, but when they appeared, they utilized the soundscape in an engrossing manner, and music made active use of the different channels. Audio quality pleased. Speech was concise and natural, without edginess or other issues. Music showed good range and vivacity, while effects worked nicely. Those elements came across as accurate and full, with solid low-end response and positive definition. All of this added up to a “B”. A featurette called The Braven’s Views lasts 10 minutes, 16 seconds and offers comments from actors Jason Momoa, Jill Wagner and Garret Dillahunt. “Views” covers the film’s roots and influences, story/characters, locations and cast and performances. This becomes a pretty rote promo piece without much insight. The disc opens with ads for Small Town Crime, Blood Money, Acts of Vengeance, Shot Caller and Bullethead. No trailer for Braven appears here. As a basic “war for survival” tale, Braven presents the bare bones of a decent movie. Unfortunately, it fails to rise above its well-worn genre origins so it ends up as a fairly mediocre affair. The Blu-ray brings us pretty good picture and audio along with minor supplements. Braven makes for a passable way to waste 94 minutes and that’s about it.